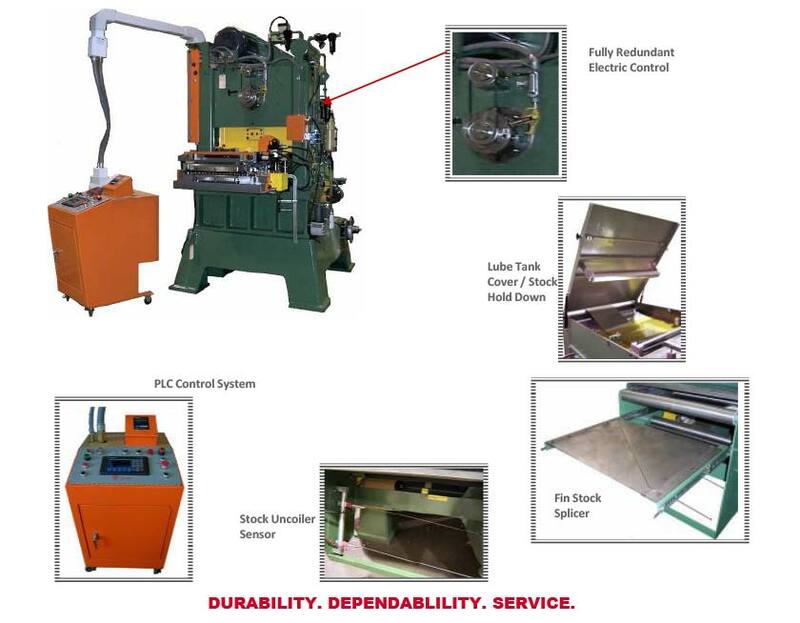 This is a one time offer to purchase a New Model RLB Fin Press including all the features in the image below, less the Fin Die, Bolster Plate, Vibration Isolators and Fin Collector. The limited quantity of presses are available in 4 weeks or less and during this special offer, there will be a full 5% off discount off of the standard ex-works price. These machines will be sold on a “First Come, First Served” basis and cannot be held. Purchase a complete line including the Fin Die, Bolster Plate, Vibration Isolators, Fin Collector and the recommended Spare Parts and receive a 7% discount off of the entire Ex-Works value. We will provide a 12 to 16 week completion on this full line, dependent on the design of the Fin Die. Also at Tridan International, we have an extensive line of Fin Press machines to choose from. Additionally, Tridan offers the HFP75 Fin Press and other coil production machinery and tooling. Finally, please contact us today with any questions or to take advantage of this one-time special offer.